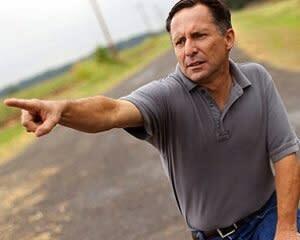 Discovery Channel is dedicating tonight’s documentary premiere, Mile Wide Tornado: Oklahoma Disaster, to Tim Samaras (pictured) and Carl Young, cast members of the defunct Storm Chasers series who were killed on Friday while tracking the EF3 tornado that tore through El Reno, Okla.
Samaras’ 24-year-old environmental photographer son Paul also died during the storm. In addition to his contributions to Storm Chasers, which ended in 2011, Samaras worked for Denver, Colo.’s 7News, National Geographic and the federal government. He also founded TWISTEX (Tactical Weather Instrumented Sampling in Tornadoes EXperiment), which was dedicated to researching tornadoes so as to better warn citizens in targeted regions. Young had a masters degree in atmospheric science from the University of Nevada, and with Samaras tracked more than 125 tornadoes.